Chaparral Gardens Artisan Vinegars start with hand selected, hand picked fruits, herbs, and vegetables grown on their own organic farm. The fruits and herbs are placed in small vats along with an organic Kosher base vinegar. Their vinegars are made with love and the owners hope that make them a mainstay in your pantry for years to come. We sampled their vinegars and found their taste to be irresistible. 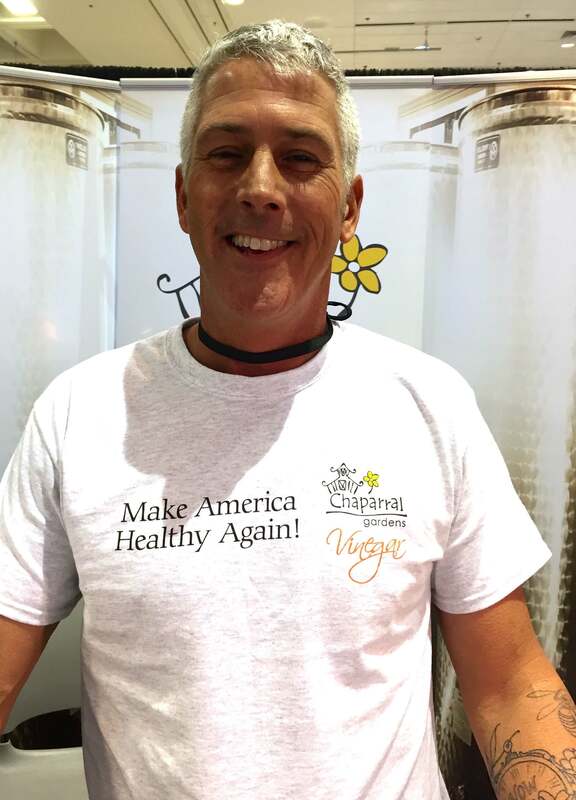 The Chaparrel Gardens Champagne Mimosa Vinegar, winner of the 2012 sofi ™ Gold Award for Outstanding Salad Dressing starts with ripe juicy citrus.This is a true California Champagne vinegar. A nice citrus flavor makes this vinegar perfect on seafood. Marinade winter squash and bake for a nice winter treat. This flavor is perfect over salad or fruit. This is a true California Champagne vinegar. The Plum Basil Balsamic starts with fresh Santa Rosa Plums along with opal basil, and sweet Italian basil. This balsamic has deep rich flavor that will make any dish gourmet. Perfect dressing for a Caprese salad. Pairs every well on pork too. Their Star Anise and Vanilla Bean Balsamic Reserve, winner of the 2012 sofi ™ Gold Award for Outstanding Shelf-Stable Food Service Product, starts with hand scraped vanilla beans and the mysterious star anise pods. It has a sweet yet smoky flavor. Ole Mole is the newest winner of the 2017 Sofi Award. Ole’ Mole is our newest balsamic to come out of the Chaparral kitchen. We spent over a year working with spices and various forms of chocolate. Finally we feel we have what is the perfect blend. Great poured over chicken in the final minutes of a stir fry. Taco salads, chili, rice and beans will not be the same. 375 M. Ingredients: California Balsamic with various chilis, ginger, oregano, cinnamon, cumin and spices. Warm but not spicy hot.